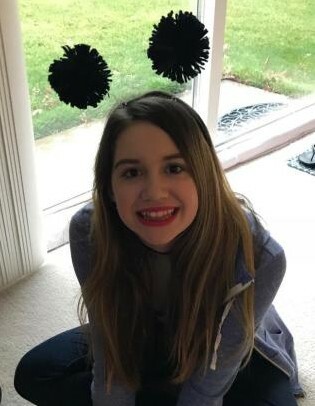 Alaina Nicole Quillin, age 14, of Wilmington, died Monday, April 1, 2019. She was born February 24 2005 in Cincinnati. Alaina was an Honor Student at Wilmington Middle School, and a member of the Church of Jesus Christ of Latter-day Saints. She loved art, music, and musicals. She loved small children and especially loved working in the nursery at church. She loved many, and was loved by many. Alaina is survived by her mother Kerrie (Bryce Whelchel) Fahey; siblings, David Quillin, Caiden Quillin, and Andrew Muslar; grandparents, Richard and Carolyn Fahey of Wilmington and Dave and Denise Quillin of Morrow; aunt Amanda Peavley of West Chester; uncles Micah (Tracey) Peavley of Batavia, Joey Peavley of Springdale, and Ryan (Amber) Bentrup of Ft. Wayne, Indiana; cousins, Harper Peavley, Steele Peavley, Andi Siry, Ethan Bentrup, Alyssa Bentrup, and Adelyn Bentrup; along with many friends. In keeping with Alaina’s love of people, she was an organ and tissue donor, her gifts will help the lives of many people. Funeral services will be held 10:00 a.m. Friday, April 5, 2019 at the Church Jesus Christ of Latter-day Saints, 2343 Wayne Road, Wilmington, Ohio 45177. Bishop Rees Watson will officiate. Burial will follow in Sugar Grove Cemetery. Visitation will be held from 5:00 to 8:00 p.m. Thursday, April 4, 2019 at Brown Funeral Home, Wilmington. For more information, or to sign our on-line register, please visit www.arehart-brown.com, or see our Facebook page, Brown Funeral Home.